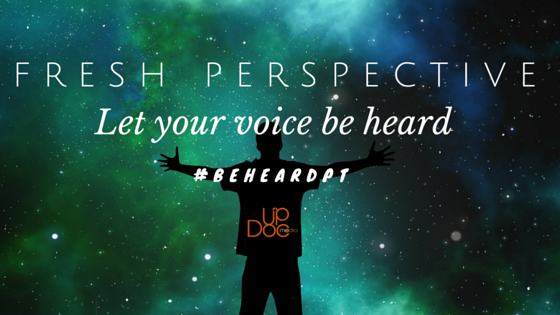 @DrBenFung Is there a “Pre-#APTACSM To Do List” post in the works? First time going and would love the low down from others. But, what do you do with the rest of the time?! Will you hang out with the friends you came with? Will you hop over to Disneyland for a hopeful #DisneyPT takeover? What do you need to bring? 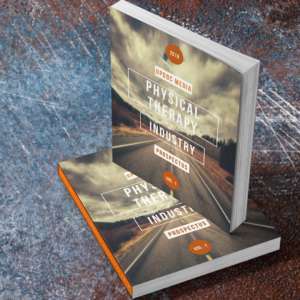 How can you prepare? 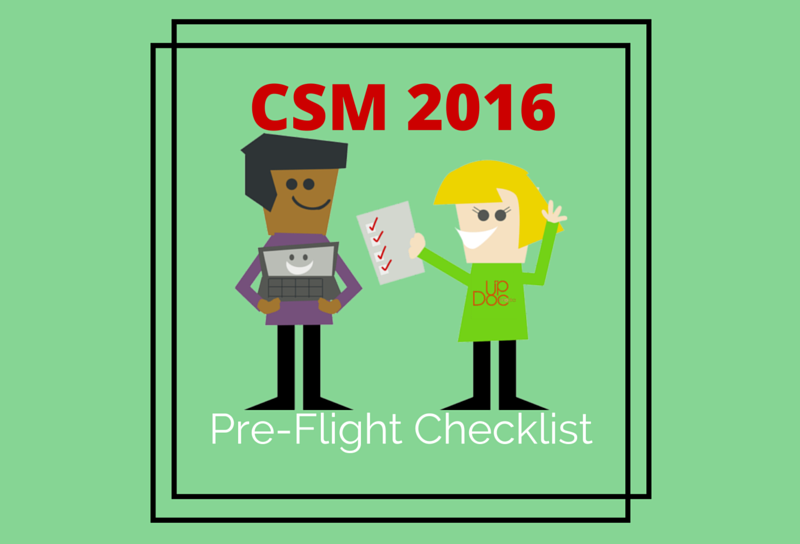 Well, I’m pleased to share with you my personal CSM 2016 Pre-Flight Checklist! 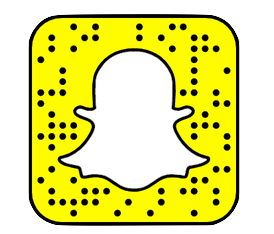 Create a roster of all the people you want to meet up with. Map out the best places to booze and dine. And, plan on staying there late into the night. Hint: Downtown Disney. Mentally Prepare The Fact You WILL Get Lost. Set some time aside just to wander. You never know who you might bump into. Whether it is the exhibition hall with prospective employers or at a hotel bar with future business partners, don’t worry about getting lost… you’ll find someone. They may very well be the entire reason why you came to CSM. Wardrobe. Pack something non-polo, with lots of pockets, and visually memorable. #NoPolo. Also, be sure that you bring something relatively warm to wear. Some of those sessions are FREEZING. In San Diego, CSM 2013, I was wearing a jacket most of the time — most of the time, I was cold! AND, a quick addition… don’t forget to wear comfortable shoes. There’s a lot of walking to be done. Bring a nice bag… or rucksack. Big enough to carry a lot of loot from vendors, comfortable enough to hold all your tech, gear, and outwear… not so big that it’ll get in the way of getting in and out of dive bars. Water and napkins… trust me. Whether you have your own water bottle or plan on buying one there, get it ready… and, get some portable tissue stuffers or napkins on hand. You will be surprised and you will thank me. Oh, and another quick addition: Chapstick! Bring lots of chargers. And, bring even more adapters. Don’t worry about pens or USB drives, the incredible vendors there will have that ready for you. Get your business card ready and have a bunch on hand. GET A TWITTER ACCOUNT, ALREADY! Here are 10 Reasons Why You Should. Bonus: Think about hopping over to Disneyland! After all, the hours are good and there will definitely be PT Folks hanging out there. #NetworkAnywhereNetworkEverywhere! So, that’s it! 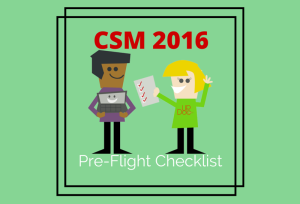 That is my personal checklist for CSM in Anaheim, 2016! Did you notice anything I missed and/or that you would add? Please let us know in the comments section below! I’m beyond jazzed for CSM — especially in meeting so very many of you face to face. Oh, if you’re interested in helping me bring some momentum to a #DisneyPT Takeover. PLEASE. LET. ME. KNOW! I’m just a phone call, text, tweet, or email away.